Over the past two decades, Steve Maddock has come to be known as one of Western Canada’s most versatile vocal talents. In addition to his extensive body of work as a jazz and pop performer, he’s been a soloist with the Vancouver Symphony Orchestra, the Pacific Baroque Orchestra, the CBC Radio Orchestra and the Dal Richards Jazz Orchestra, as well as being a featured artist on CBC Radio (Tonic; Hot Air; Disc Drive; The Early Edition; Choral Concert and Sound Like Canada) and CTV (Vancouver 2010 Winter Olympics). As a chorister, his credits include The Vancouver Chamber Choir, musica intima, Chor Leoni Men’s Choir and the Phoenix Chamber Choir. 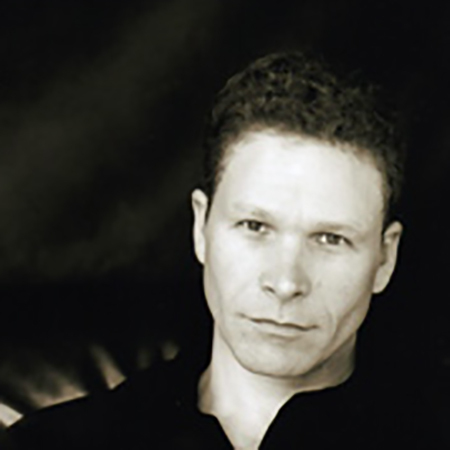 Steve studied jazz voice at Capilano University, and has been an instructor at Capilano since 1996. He is currently a graduate student at York University in Toronto, working towards a master’s degree in musicology. As an adjudicator and clinician, Steve has worked at Musicfest Canada, the Envision Jazz Festival, the Rocky Mountain Jazz Festival, Powell River’s Jazz Summit, the Kiwanis Jazz Festival, the Mission Jazz Festival, the South Delta Jazz Workshop, the BC Interior Jazz Festival, teh Whistler Music Festival, Sun Peaks Music Festival and BC Swing Camp. He studied acting at the University of Windsor, Ontario and remains active as a theatre and television performer. Recent stage credits include High Society (Arts Club Theatre Company), The Fantastics (Vancouver Playhouse), Jesus Christ Superstar (Stage West Calgary)’ and Disney’s Beauty and the Beast (Arts Club). Steve lives in Burnaby with his wife, singer/pianist Siri Olsen, and his two children, Aubrey and Kai.